Omari is already the new star of the East. I feel almost moved to tears every time I hear the song Move On.” Such statements are issued easily, but with this one coming fromStephen “Cat” Coore of Third World, we should definitely take a listen. 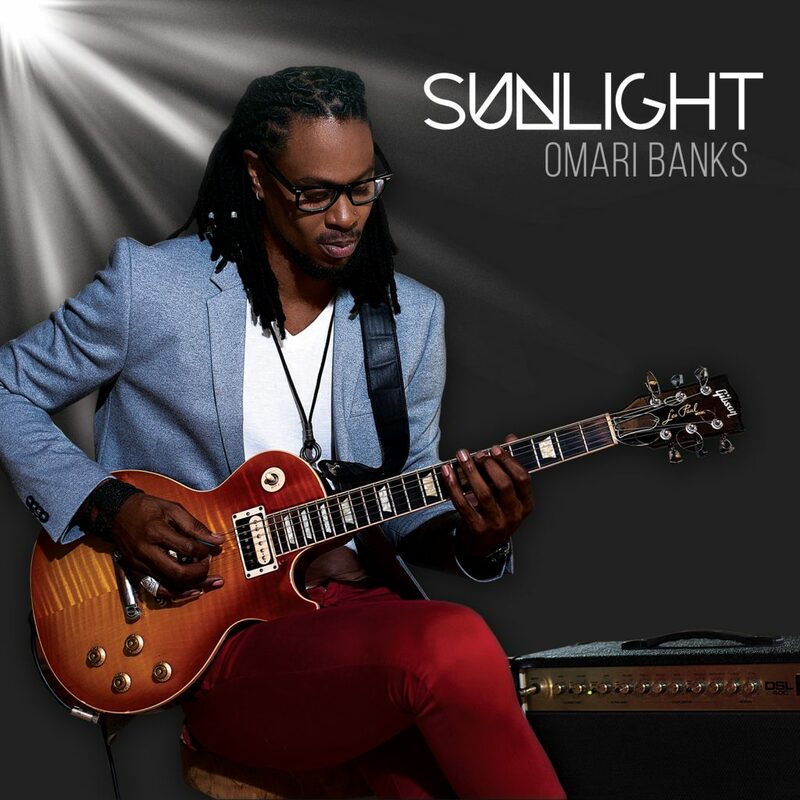 Omari Banks hails from the British colony of Anguilla, situated east of the Virgin Islands in the Lesser Antilles. Music had always been a part of his life. He had his first stage appearance when he was just five years old, and that concert took place far from home in Milan, Italy. It was actually his fathers’, who, known by his stage name Bankie Banx, rose to fame as the reggae pioneer of the Eastern Caribbean. Omari opted for a professional career in cricketing, from which he retired in 2012. It was only then that he started to focus on music professionally, with the single Move On mentioned at the beginning of this review. 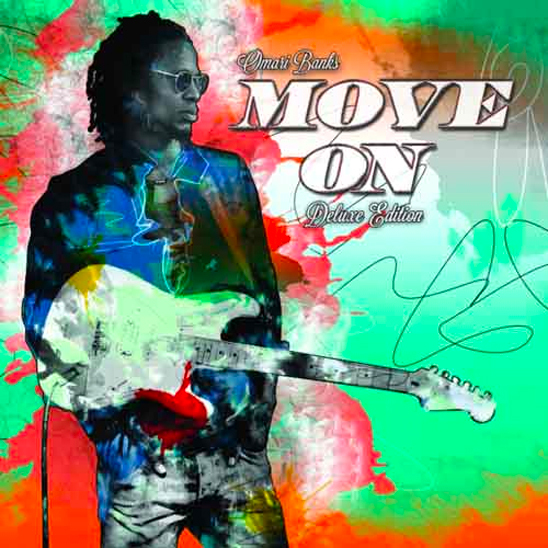 He seems to be serious about moving on from sports to music, as he presented a debut album one year later (2013), Move On, recorded between Kingston, Jamaica and Houston, TX together with renowned musicians including Sly Dunbar, Robbie Lyn, Cat Coore, as well as his father and some of his father’s musicians. Steven Stanley did the mixing. The album went somewhat unnoticed by the media outside of the Caribbean. It is now being re-released in a deluxe version that comes with two extra tracks. Indeed, a considerable part of this album’s lyrics deal with matters of the heart. Such as the somewhat cheesyPuppy Love, the intense Unafraid, the quiet Somaya, the slow and jazzy Let It Go, the faster and more thrillingRun Around (that returns at the end of the album as a remix version featuring Jemere Morgan), or the more desperate How Do I. While Omari Banks is undeniably great at sining lovers rock tunes, he is at least as good when he focuses on other things. Banks praises Jah in Jehovah Message, defends righteous livity together with Peetah Morgan inNo Point To Prove, and calls for repatriation in Oh Africa. Together with his father, he gives some general advice on life in We’ve Seen It All. While Move On is free of fillers, Omari Banks is at his very best when he comments on social issues. Still The Youth You Blame is a deep, haunting song that shows the influences Bob Dylan has left on Omari’s music. With Move On only being the debut album, chances are high that Omari Banks will enjoy more success as a professional singer than he did when he played cricket. His re-released album debut is definitely the most surprising release 2015 has offered us so far, and this carefully crafted LP comes with so much details to discover that Move On won’t be forgotten by the end of this year. Do not reproduce, distribute or otherwise use without express written permission from Omari Banks. So my boy be wise.